GBC Fusion 5000L Laminator is defined as the top class office laminator! Its specifications and unmatched quality make Fusion 5000L the ideal laminator to have for common jobs. GBC Fusion 5000L 12" laminator has remarkable laminating abilities. 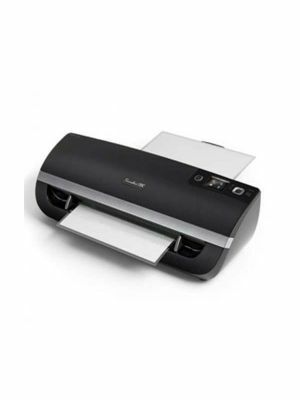 It can laminate pouches up to 10mil and at a speed of 39” per minute. 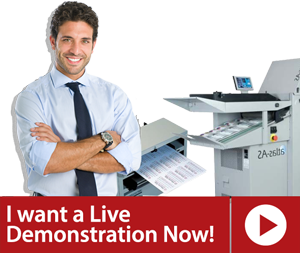 These qualities ensure that a lamination job is completed quickly and efficiently. 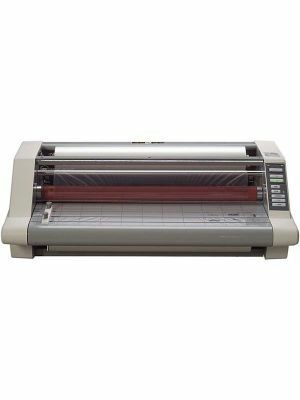 The Fusion 5000L laminator has a 12” wide throat that guarantees smooth laminating of all officially used paper sizes. 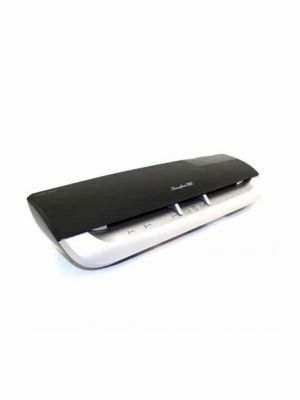 Like all Swingline laminators, this one comes incorporated with the best quality components. Its 4 roller mechanism, of which 2 rollers are cold, ensures that no flaws occur in the lamination. GBC 5000L 12" laminator has been equipped with a range of innovative features that not only make it simple to use, but also give it the ability to optimally laminate documents. Its Intelligent Pouch Thickness Detection technology senses the thickness of the pouch being used and adjusts itself to optimal settings. This feature saves users a lot of time as no prior manual settings are required. GBC Fusion 5000L laminator has various complementary features that further enhance user comfort. An LCD display control panel is included in the design so users can conveniently pass on commands to the machine and laminating is easier than ever. 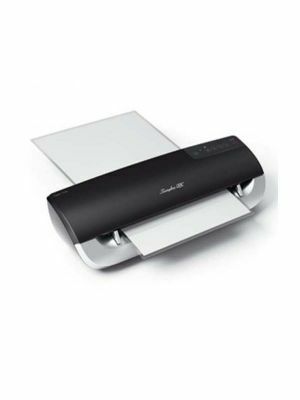 Its Jam Alert system detects jams that occur in the laminating unit and alerts the user through a beep. Furthermore, the GBC Fusion 5000L laminator also automatically reverses the machine to remove the jammed document. In addition to these features, Swingline Fusion 5000L also shuts off by itself after 30 minutes of being left idle to save energy and improve its life. A: The product comes with a 1-year limited warranty. A: Select 3 to 10 mil thermal pouch thickness with the touch of a button. Q: Does the GBC Fusion 5000L 12" comes with a temperature control function? A: GBC Fusion 5000L comes with adjustable temperature settings. A: For smooth results, pressure sensitive pouches should be used. Q: What is the main feature of GBC Fusion 5000L different than 3000L and 3100L? A: GBC Fusion 5000L comes with more pouches, extra pouch thickness and throat capacity then the GBC Fusion 3000L and 3100L. It is also incorporated with temperature control settings.